Who would have thought that dandelion dinnerware sets would be high in demand? When I was growing up, a dandelion was known simply as a weed that made its home in our yard. Its hollow stem was topped with a yellow flower that eventually turned into a white, seedy puff that we loved to blow while making wishes. Dandelions are considered herbs to some and are often used in salads, as a coffee substitute, and as medicine. They are edible, but don't just go out and eat the weeds in your yard before verifying that they are for sure suitable for consumption. When I see dandelions in the seed head stage, I am always inspired to pick one and make a wish. I am happy that dandelion home décor has become popular. It brings back fond memories. The most awesome dandelion dinnerware that I have seen is a pattern distributed through Lenox under the Kate Spade New York designer brand. The name of the pattern is Dandy Lane. The fine dinnerware pieces are made by Lenox and designed by Kate Spade New York. Better yet, it is made in the United States. The pattern is lovely on white bone china with platinum trim and mica decorations. It is available in place settings or in open stock. The dinnerware features fully matured dandelions and flying petals just like a real dandelion at its peak for blowing and wishing upon. The five piece place setting consists of a dinner plate, a salad plate, a butter plate, a tea cup, and a saucer. There are accessories to match the pattern such as a coffee pot, creamer and sugar bowl, serving platter, and rimmed soup bowls. 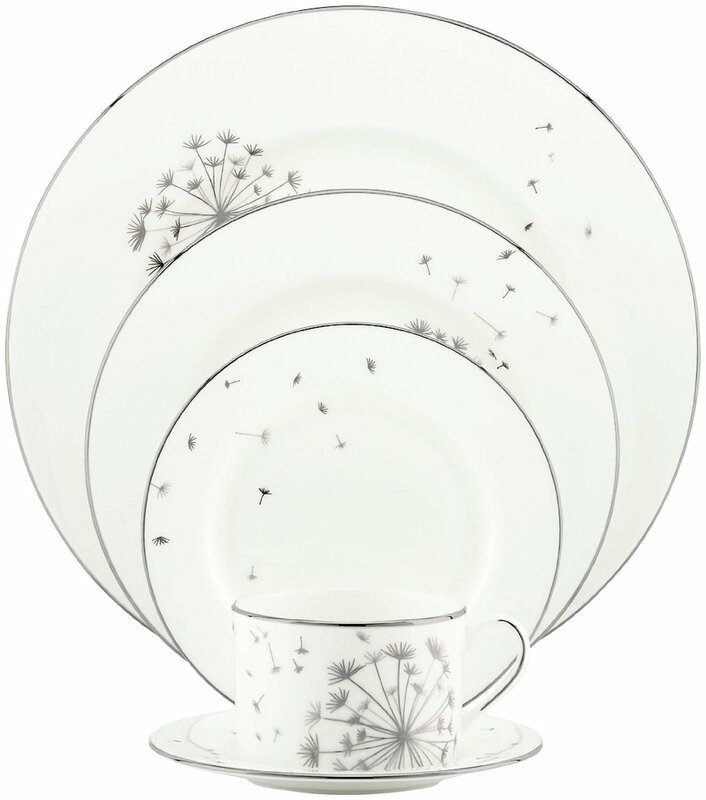 For a more casual set, Cusuinart has a dinnerware pattern that features abstract looking thistles or dandelions. The name of pattern is Marianne . It is a square dinnerware set made of stoneware. The pattern is contrasting in black, white and light beige. It is a very attractive set. Williams Sonoma has a pretty awesome pattern called Culinary Herbs. Several herbs are featured on luncheon plates. One of the plates has dandelions in various stages showing progression from bud to blooming flower to seed head stage. These would make perfect decorations in wall plate hangers. There is also a pasta bowl set and canisters that display different culinary herbs. It appears to be a vintage pattern. 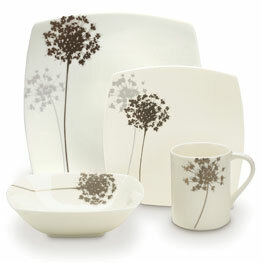 Home Art also makes dandelion dinnerware sets available. The plates have scalloped edges for a fashionable design. The dandelion appears to be engraved on the brown dishes. It is a lovely set. Mikasa has a dinnerware pattern that looks like abstract dandelions. It is called Floral Silhouette. The floral pattern appears on bone china. The basic dinnerware set features square dinnerware that is modern, and very stylish. From contemporary to vintage, dandelion dinnerware is very attractive for table settings or decorations. There are both casual dinnerware sets and fine china patterns that present this magical wild flower.